Celebrities, influencers, and beauty experts, they’re all doing one thing: contouring. Creating more angles and dimension on your face make for a confidence-boosting, Instagram-worthy look you can take from day to night. Whether you’re an expert or beginner, it’s never been easier to find the contour kit for you and your needs. Below, our picks for the top contour kits out there. You don’t have to spend hundreds of dollars to look like a million bucks. There are plenty of drugstore contour kit options, but the L’Oreal Paris Infallible Total Cover Concealing and Contour Kit has four different shades that can be used together or on their own. 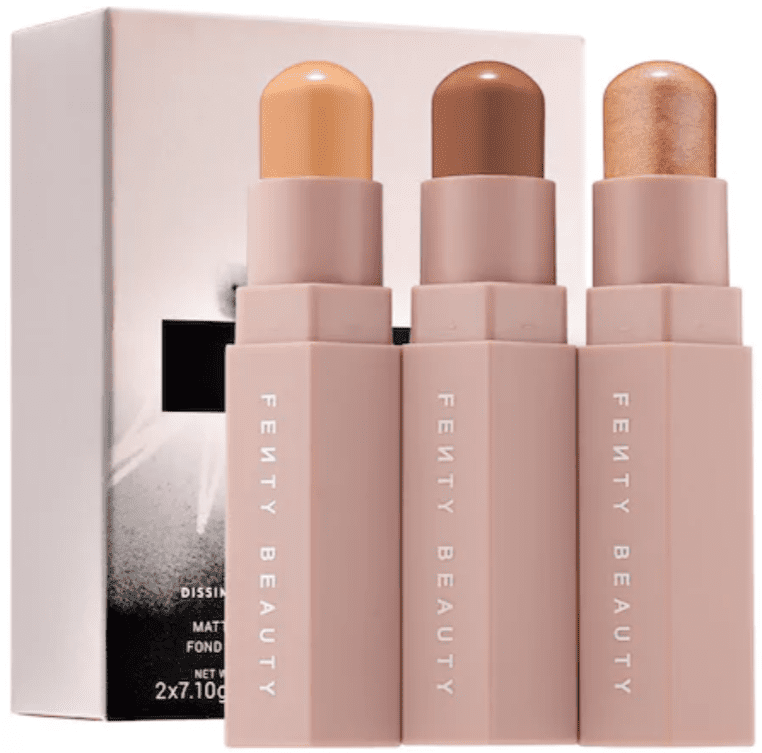 It’s full coverage, so you can conceal while you contour. Dark circles, acne scars, and other imperfections? Those will be covered with this palette. If you read this and immediately thought to yourself, “What’s contouring?” have no fear. It can be intimidating to sculpt your face just like the your favorite stars, but it’s easy when you have a product like the Aesthetica Cosmetics Cream Contour and Highlighting Makeup Kit. Not only does it come in several shades, but this kit shows you how to use them all. It’s like having your own makeup guru without the expensive in-person consultation. These instructions provide details about how (and where) to use the six tones in the palette depending on your face shape. The face shape diagram helps you match with one of six types: round, square, heart, oval, pear, and long. From there, use the mapping guide to create the best contoured look for you. When you have oily skin, the last thing you want to worry about is makeup that could cause problems. Because your skin is more acne-prone, it’s important to find a non-greasy formula, like this one from Vodisa. Their 10-color cream contour palette gives you everything you need, while being harmless to your sensitive skin. Because there are so many options, you can use the palette for applying foundation, concealing, and of course, contouring. There are few products that can shade darker skin tones. Lucky for us, there’s the affordable and effective Aesthetica Cosmetics Contour Kit for tan to deep tones. This six-shade palette is best for those with “tan, dark, and deep” skin tones. Similar to the other Aesthetica kit on this list, the palette provides step-by-step instructions on how to complete your look. The difference here is that it’s a powder palette, not a cream one.